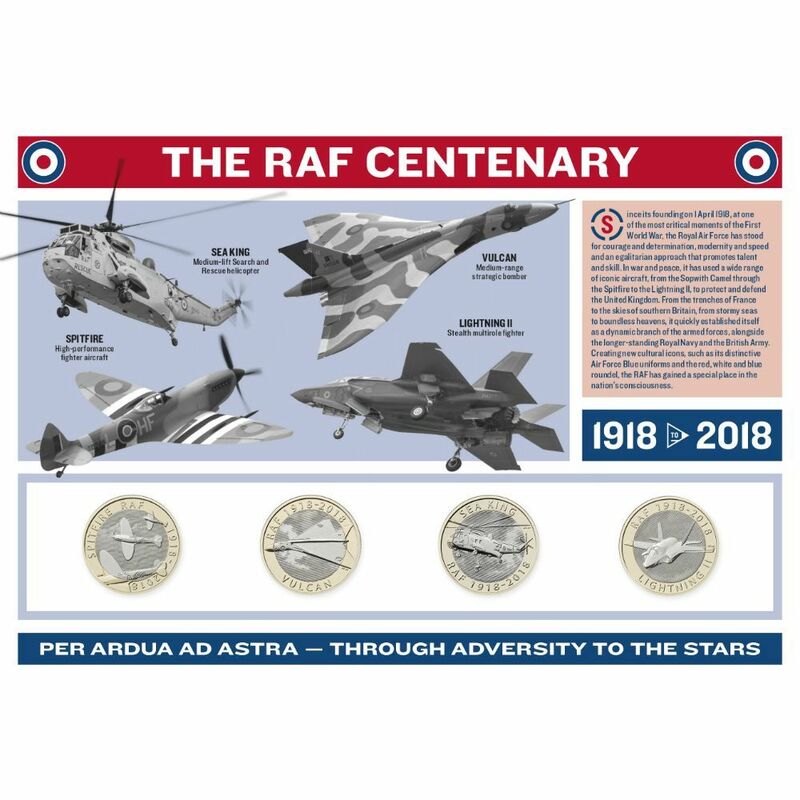 Edge lettering: Per Ardua ad Astra. 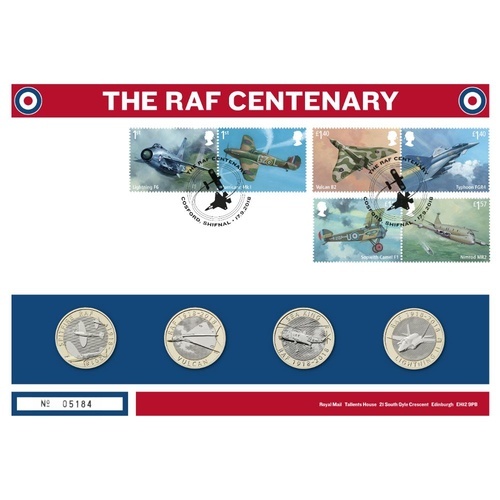 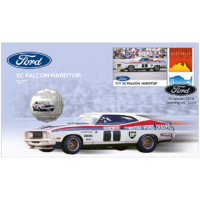 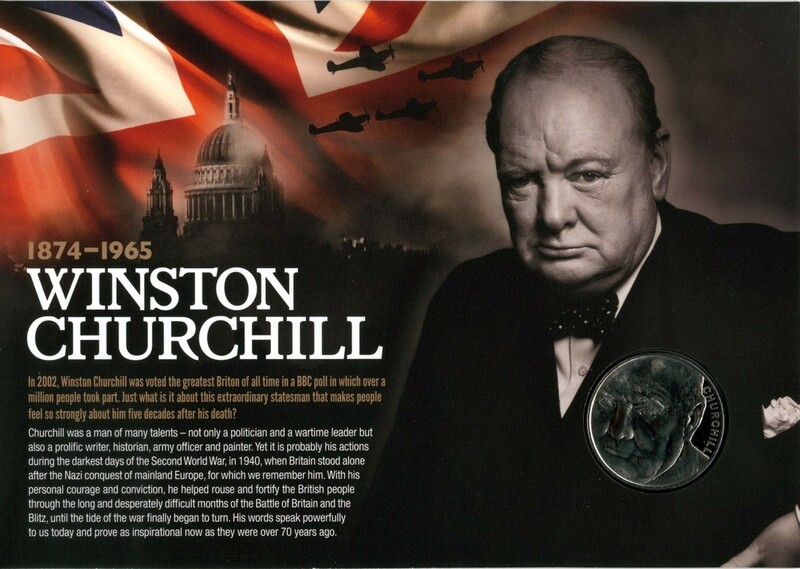 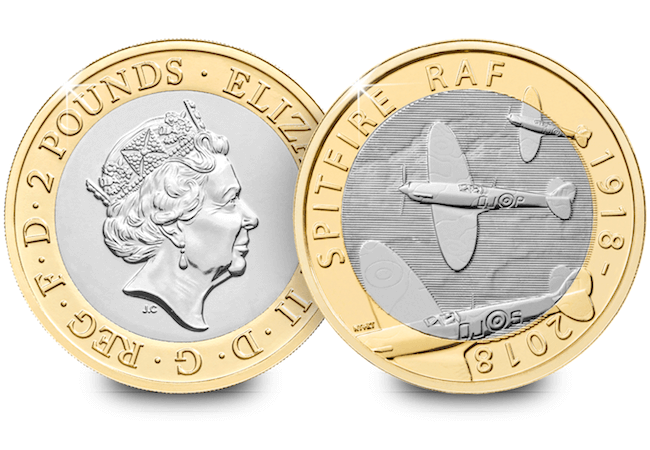 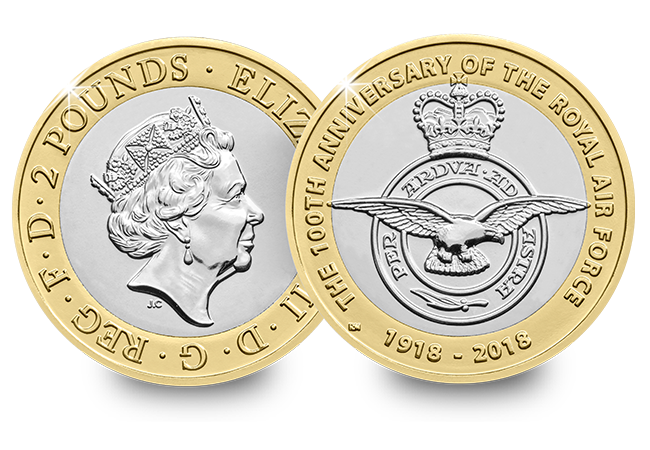 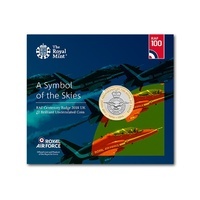 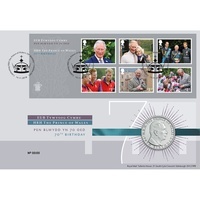 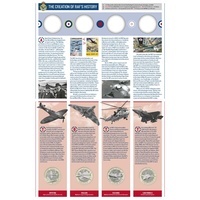 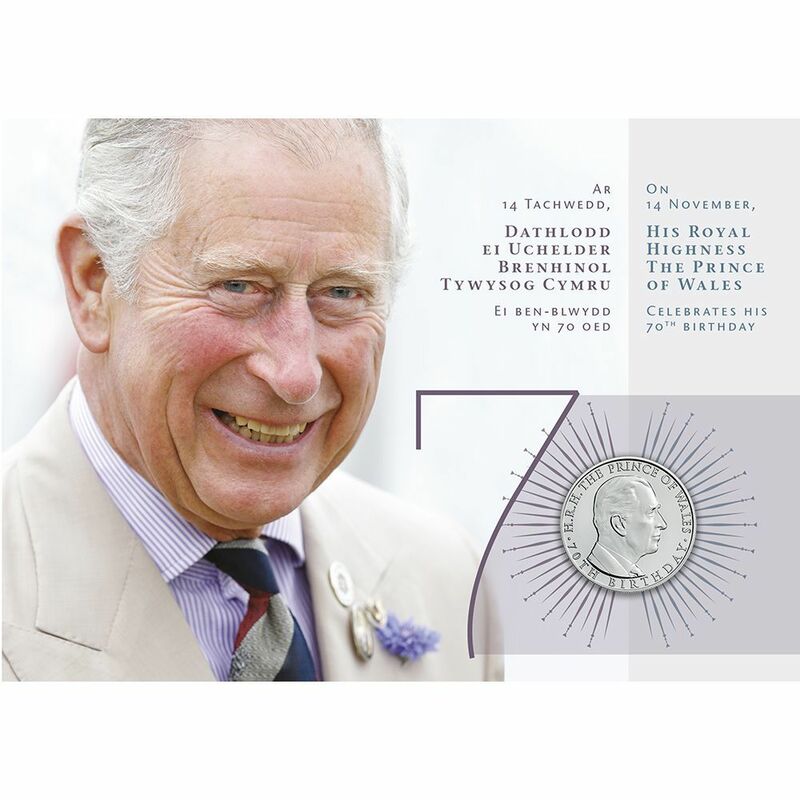 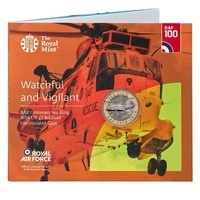 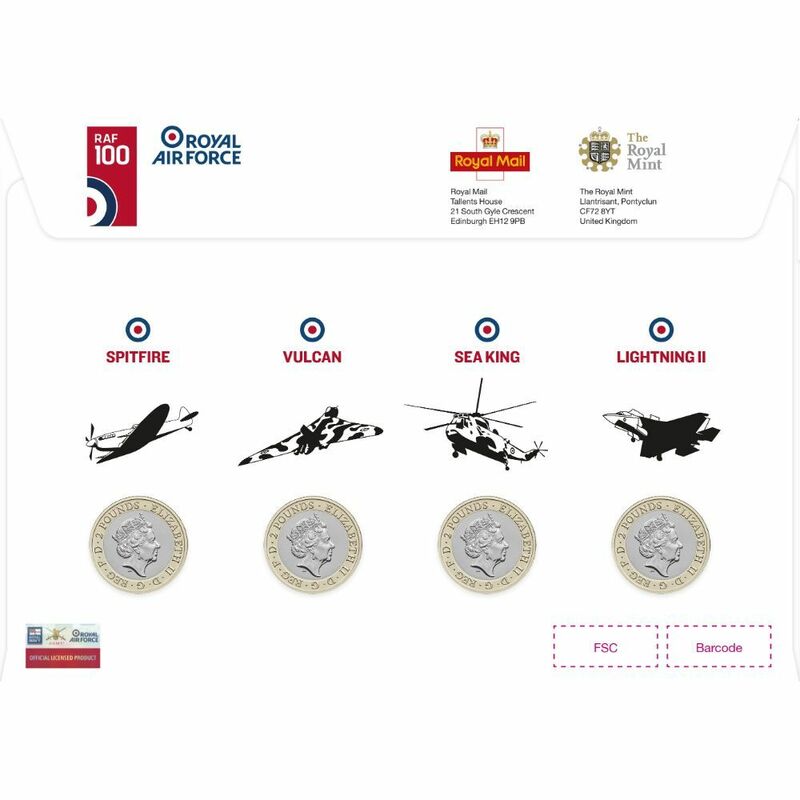 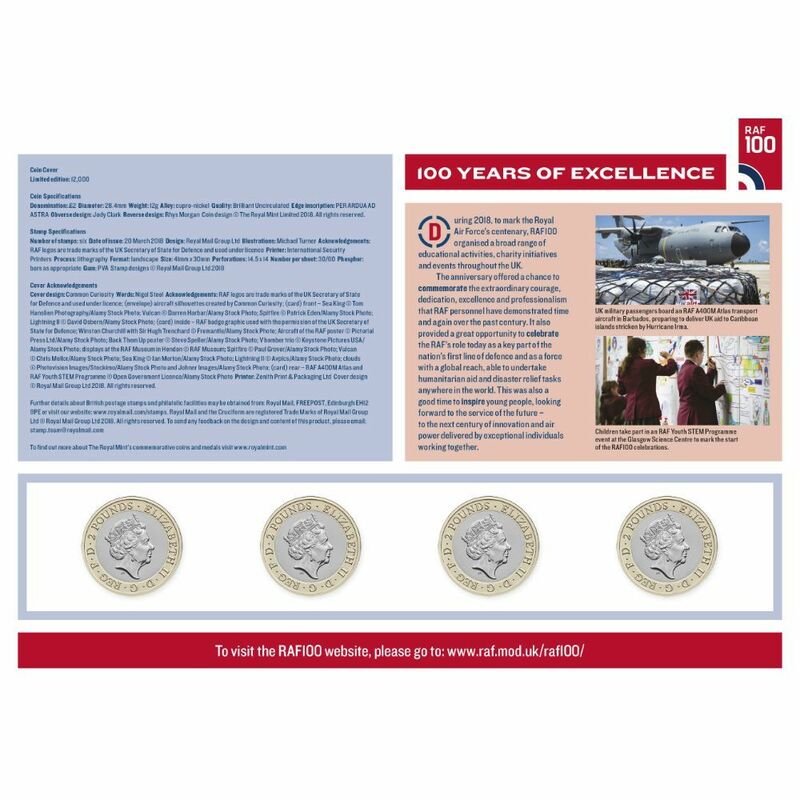 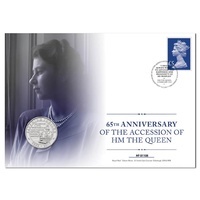 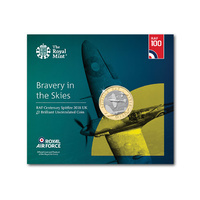 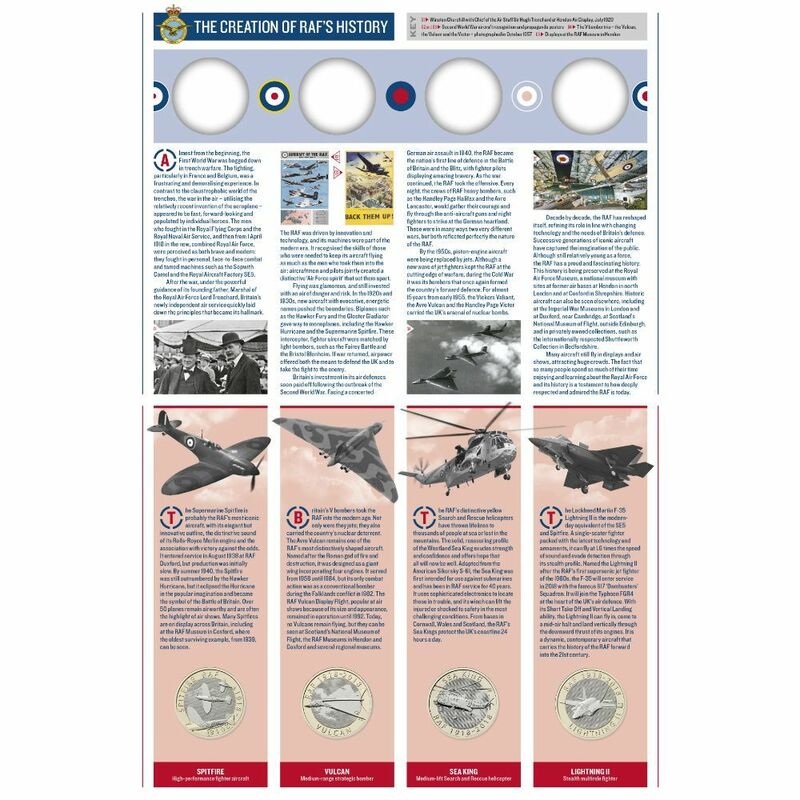 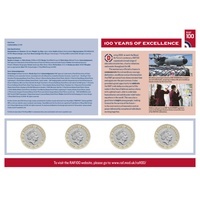 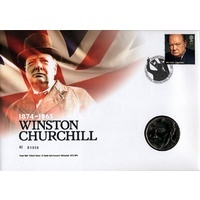 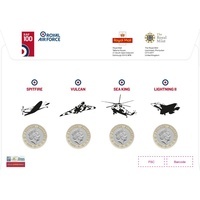 Contains four coins specially struck by The Royal Mint featuring the following:- the Spitfire, Vulcan, Sea King helicopter and the Lightning and also the six aircraft stamps spanning the RAF’s 100-year history. 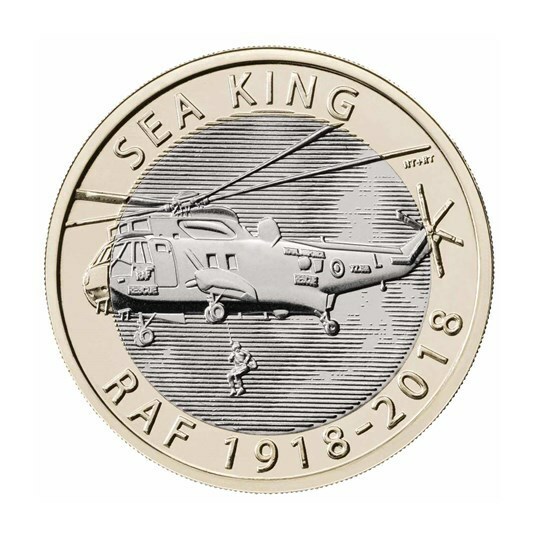 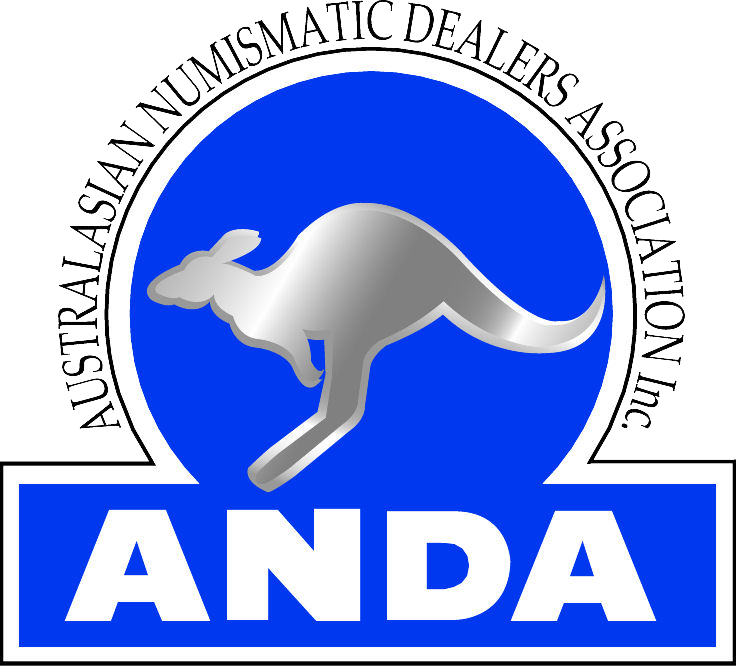 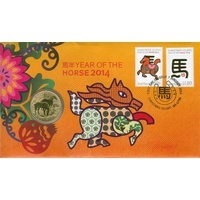 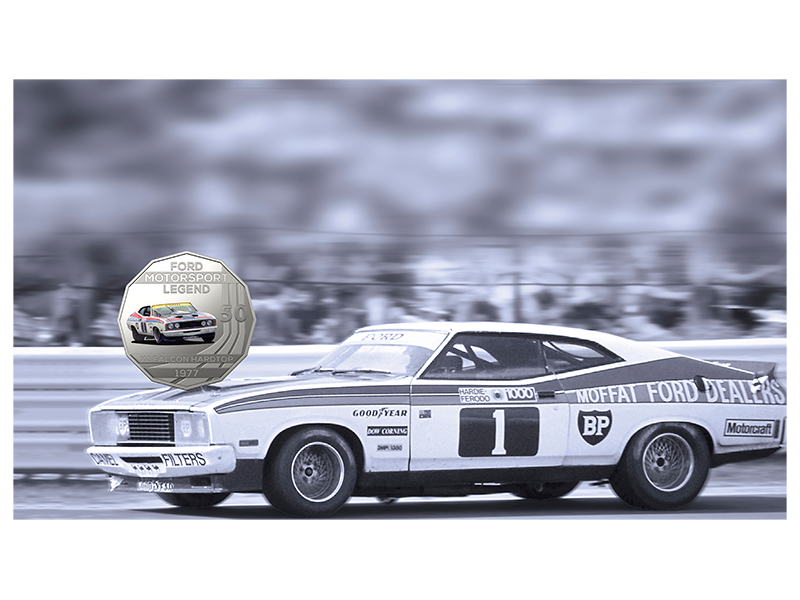 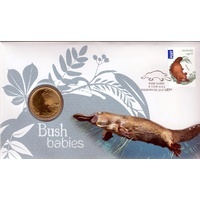 The reverse of the coin is designed by Richard Talbot and Neil Talbot. 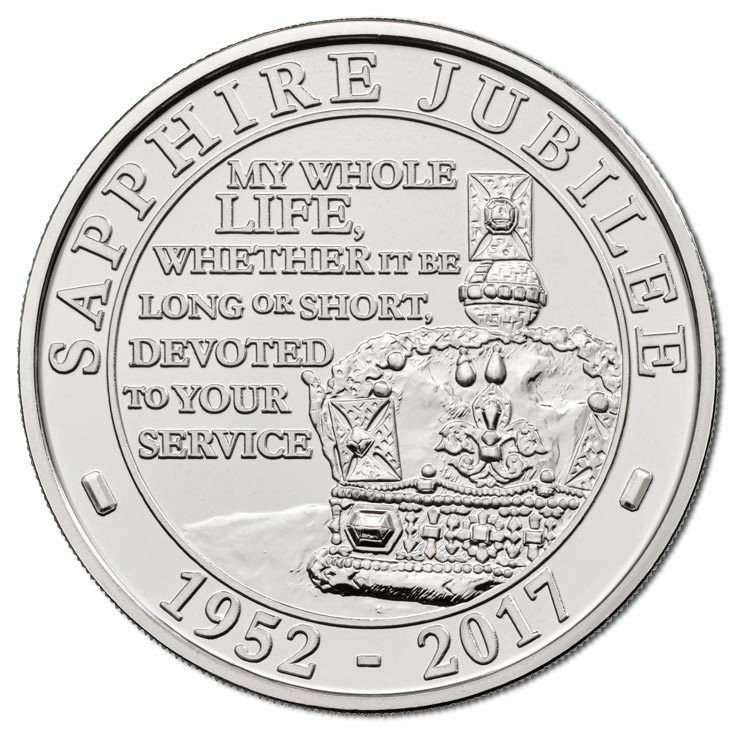 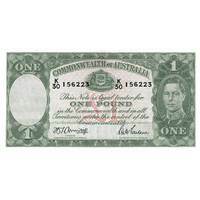 The obverse features the portrait of Her Majesty The Queen by Jody Clark. 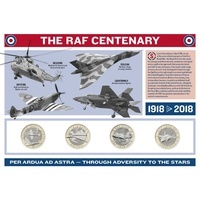 Edge lettering: Per Ardua ad Astra.